In a quest to bolster squad strength, Arsenal have shown interest in Torinto’s M’Baye Niang. Reports from The Mirror states that the Gunners have joined the list of clubs that are interested in the 23-year old attacker. The Senegal international was part of the squad that represented Senegal in the 2018 FIFA World Cup as he made a name for himself by scoring against Poland to give them victory. Despite Senegal not qualifying from the group stage, Niang’s talent wasn’t left unnoticed as big clubs like West Ham and Arsenal have key into the race to acquire the attacker’s signature. Arsenal are set for a comeback this new season following the resumption of new coach Unai Emery and the revamping that have been taking place by signing new talents and renewing contracts of players that are hoped to push the club forward. Meanwhile, West Ham are also making adjustments as new manager Manuel Pellegrini has added the highly rated Felipe Anderson to his side and is also on the lookout for possible club signings and specifically an attacker, before the end of the summer transfer. However, Arsenal would need to up their game and act quickly as it is rumored that the Hammers have already placed a bid for the 23-year old making them a step ahead of London rivals Arsenal. 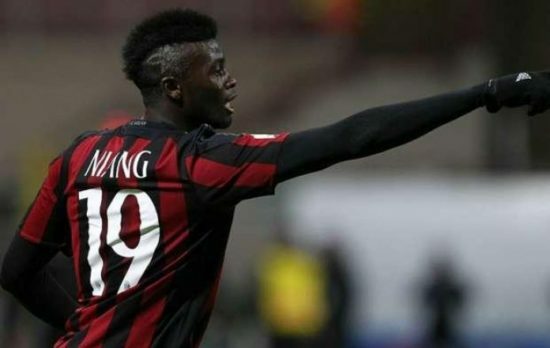 The two English sides’ interest in signing Niang looks like a tough one as both teams seem to have a need for him but it all depends on Niang’s and Torino’s decision and it wouldn’t seem to be a bad idea seeing him play for Arsenal as his ability of playing across the front three could really be of help to the Gunners.